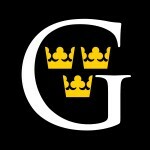 Another academic year -- the 150th academic year in the life of the College -- has come and gone at Gustavus Adolphus College. Take a moment to watch this video slideshow, produced by Kyia Knutson '12, to reflect back on some of events that took place during the month of May. 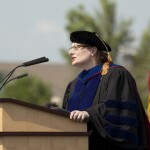 Alisa Rosenthal, Associate Professor of Political Science at Gustavus Adolphus College, received the 2012 Edgar M. Carlson Award for Distinguished Teaching during the College’s commencement exercises on Sunday, May 27. 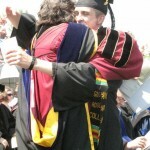 Rosenthal was presented the award by the 2011 recipient, Professor of Nursing Barbara Zust. Five hundred and forty five seniors that make up the Class of 2012 took center stage on Hollingsworth Field at Gustavus Adolphus College on Sunday, May 27. Highlights of the day included senior Chloe Radcliffe's commencement address, alumna Diane Loomer '62 receiving an honorary Doctorate of Fine Arts degree, and political science professor Alisa Rosenthal receiving the Edgar M. Carlson Award for Distinguished Teaching. Gustavus Adolphus College will recognize seven newly tenured faculty members during its 10 a.m. daily worship service in Christ Chapel on Monday, May 21. The faculty members who will be recognized are Joel Carlin (Biology and Environmental Studies), Maria Kalbermatten (Spanish and LALACS), Martin Lang ’95 (Communication Studies), Mary McHugh (Classics), David Obermiller (History), So Young Park (English), and Brandy Russell (Chemistry). 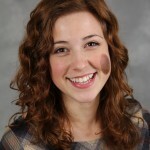 Senior Kyia Knutson '12, who has served as video coordinator for the Office of Marketing and Communication during the Spring Semester, recently caught up with about a dozen seniors from the Class of 2012 and asked them to reflect on their journey at Gustavus the past four years. Gustavus Adolphus College senior Chloe Radcliffe has been chosen by a committee of faculty, staff, and students to speak at the College’s commencement ceremony on Sunday, May 27. 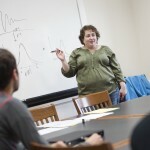 Radcliffe, who has maintained a grade point average of 3.9, will graduate with a degree in mathematics and a minor in theatre. 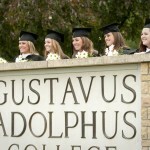 At 2 p.m. Sunday, May 27, the class of 2012 will receive their bachelor of arts degrees from Gustavus Adolphus College during commencement exercises at Hollingsworth Field. Eric Eliason, professor of English at Gustavus Adolphus College, received the 2012 Swenson-Bunn Memorial Award for Teaching Excellence at the College’s Honors Day convocation on Saturday, May 5. 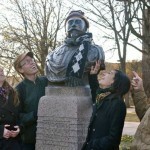 The award, nominated by students and selected by a vote of the Student Senate, has been presented annually since 1990. Gustavus Adolphus College Chaplain Rachel Larson will speak at the annual George Hall Lecture at 6:30 p.m. Tuesday, May 15 in the President’s Dining Room. 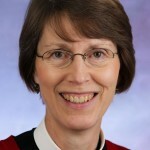 Larson’s talk is titled “Ministry: A Sacred Spiral,” and is free and open to the public. 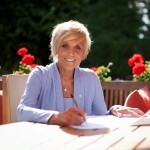 Diane Loomer, a 1962 alumna of Gustavus Adolphus College and one of Canada’s most distinguished musicians, will receive an honorary Doctorate of Fine Arts degree at the College’s May 27 Commencement ceremony in honor of her outstanding career and contribution to choral music and the education of students over the course of several decades.